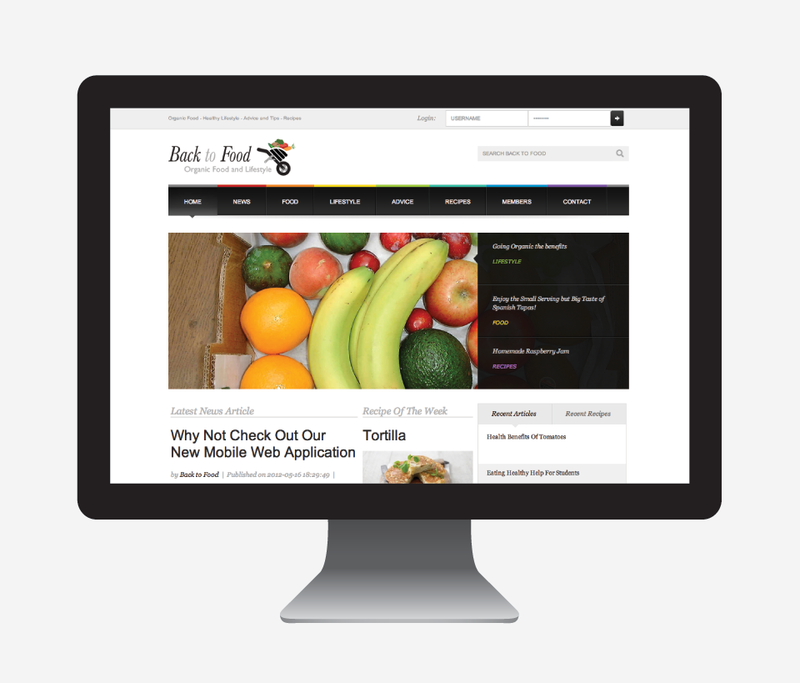 The BackToFood website formed the basis of a university degree final year project. 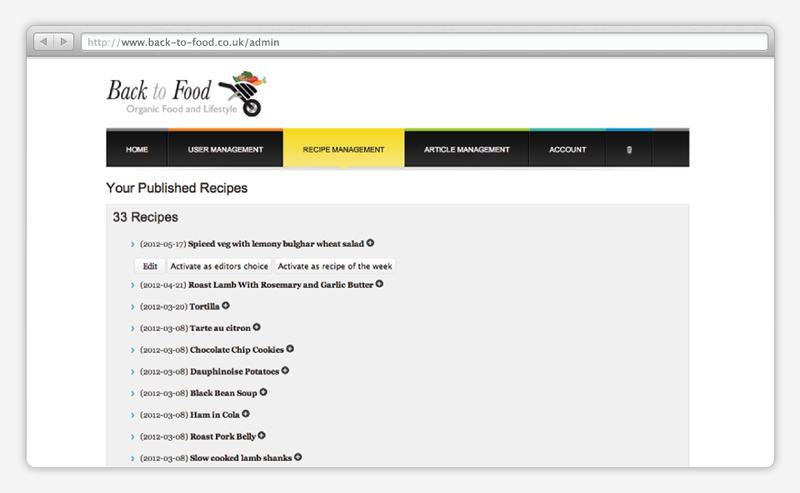 The system was to be entirely bespoke; a fully manageable cms was created to allow administrators to manage the websites content and also allow the public to interact. 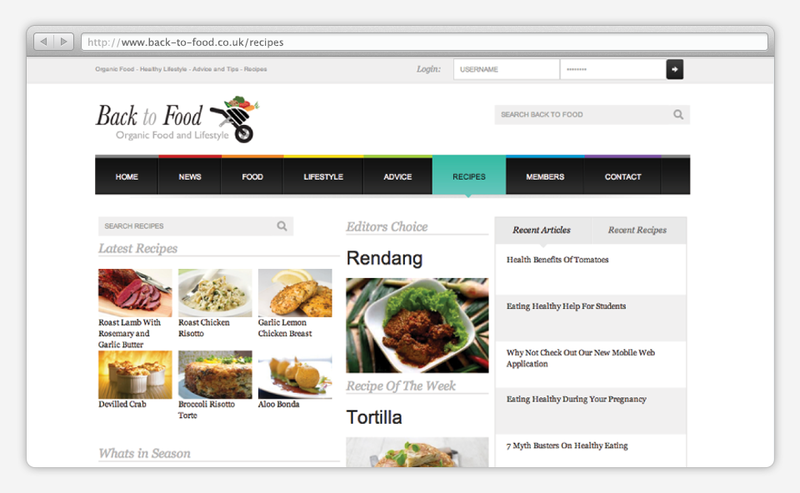 The system was created to build a community to share knowledge, advice and recipes. 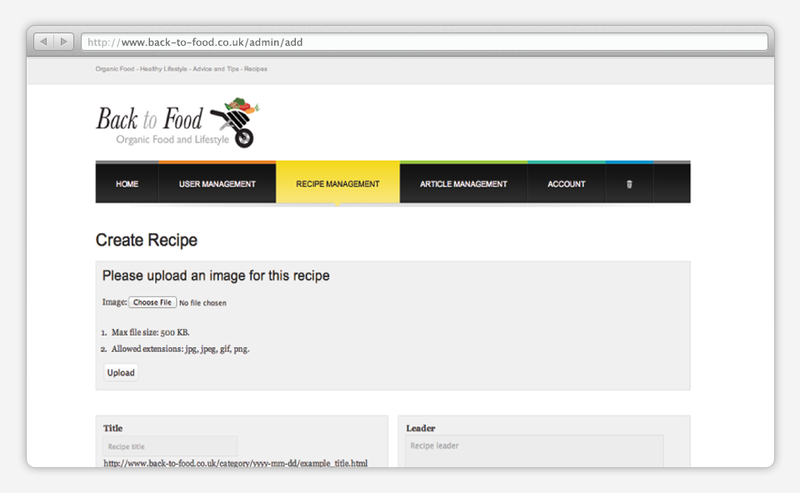 The website allowed administrators to publish recipes to categories as well as allowing users to upload recipes ready for approval.